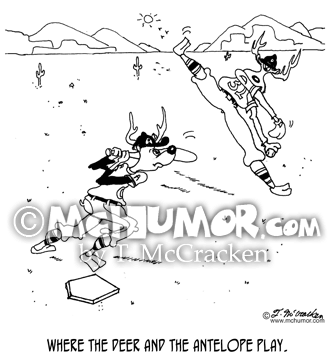 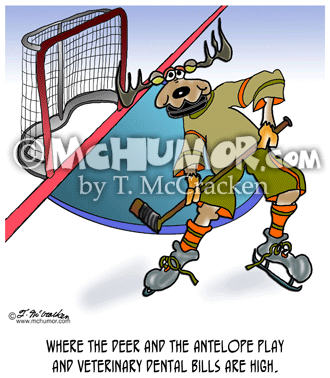 Music Cartoon 4686: "Where the deer and the antelope play." 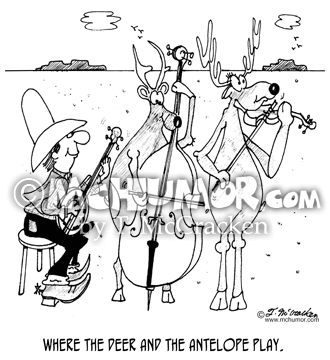 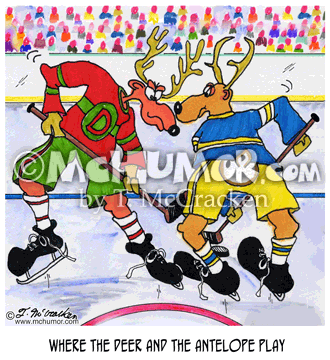 Deer and antelope play a bass and a violin with a cowboy playing a banjo. 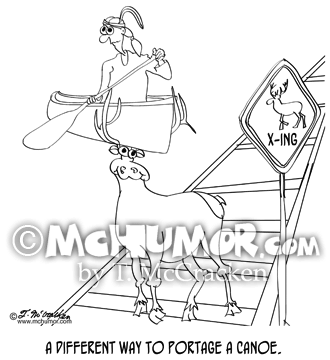 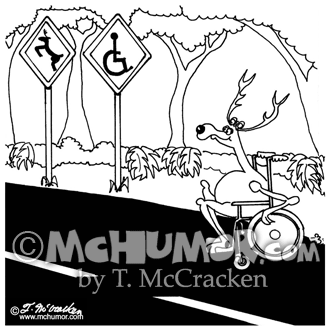 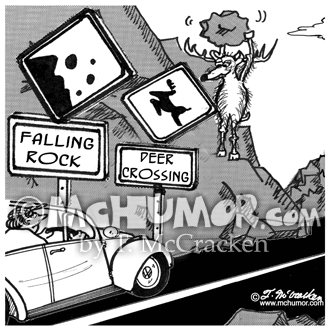 Geology Cartoon 2073: A deer about to roll a rock on a car next to a "Falling Rock" and a "Deer Crossing" zone.